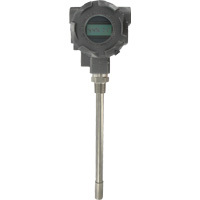 The SERIES HHT Hazardous Area Humidity/Temperature Transmitter takes accurate measurements in the harshest of environments. 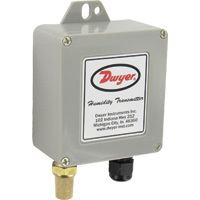 The explosion-proof model is offered with 4 to 20 mA output for humidity only. The intrinsically safe version is offered with 4 to 20 mA output for humidity and temperature, and do require an intrinsically safe barrier to meet hazardous area approvals. ±2% 10 to 90% RH, ±0.9°F at 72°F (±0.3°C at 25°C). 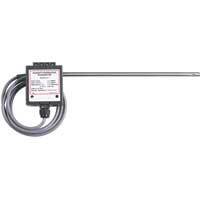 For instrinsically safe models HHT-IX, 9.5 to 28 VDC. For explosion-proof models HHT-EX, 16.5 to 28 VDC. 4 to 20 mA, 2 channels for humidity/temperature models (loop power on RH). Optional 2 line alpha numeric, 8 characters/line. 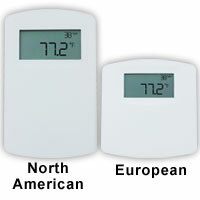 Temperature display is °F/°C selectable. RH: 0.1%; Temperature: 0.1°F (0.1°C). 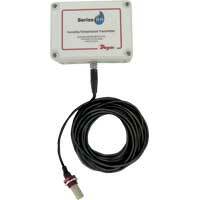 NEMA 4X (IP66). Models HHT-EX: FM Explosion-proof, Class I Div. 1 Group B, C, D, Class II Div. 1 Group E, F, G, Class III Div. 1; Models HHT-IX: FM Instrinsically Safe, Class I Div. 1 Group A, B, C, D, Class II Div. 1 Group E, F, G, Class III Div. 1 T4.